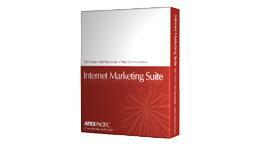 Apex Internet Marketing Suite is a complete internet marketing solution for all your web promotion needs. It contains all internet promotion software tool in one package, provides you a total solution to manage your Search Engine Optimization, Per Per Click Bid Management and Email Marketing. XGen SEO Software is an advance next generation SEO Software and Social Marketing Software that will build 1000's of high quality links from top social media sites to your website. It includes social site account creator, article research, social site submission, blog submission. The #1 All-In-One search engine optimization (SEO) tool that drives traffic to your web site for FREE. It includes search engine submission, site optimization, web ranking, link popularity, Meta Tag Editor, Page Creator, Keyword Builder. The ultimate in automated Per Per Click bid management software tool. This is an essential PPC bid management tool to help you manage online advertising campaigns for Google Adwords, Yahoo! Search Marketing and MSN Adcenter under one simple interface. Most powerful email marketing tool that sends "personalized" messages to your clients and subscribers, stay in touch with customers, keep your customers coming back to buy from you. The #1 All-In-One web promotion and internet marketing tool that drives traffic to your web site for FREE. It includes search engine submission, site optimization, web ranking, link popularity, Meta Tag Editor, Page Creator, Keyword Builder. Track your web site ranking with Dynamic WebRanking Software. It is a powerful tool that gives you full control on search engine placement tracking and rank monitoring. Check your web site position in all the major search engines for all the keywords in one Click! Why spending hundreds of dollars to purchase a single product while you can have all above award winning web promotion tools. I would highly recommend XGenSEO because it is state of the art & from a real software company with real people to contact and support us through any technical issues. All New Social Media Marketing Software and Management Tool for Social Publishing, Monitoring, Engagement and Reporting.